Have you Suffered GP or Doctor Negligence? For most of us, our first port of call is our GP whenever we encounter a medical problem. In the UK, we have a referral system whereby we first visit our GP, who makes a diagnosis and then refers us to a specialist for further assessment. Alternatively, the GP makes a diagnosis there and then, and prescribes medication or recommends treatment. It’s therefore important that your GP takes their time to listen to you, takes note of everything you tell them, and then makes the right assessment and judgement on what should happen next. Otherwise, the results can be devastating. Failure to see the right specialist after an illness can prolong it, and even make it worse. Further, not being referred for x-rays or scans when they should have been part of the assessment could mean that conditions go undetected and therefore untreated. A misdiagnosis of the condition can delay the treatment, at times until it’s too late. Since your GP is ideally your gateway into the treatment you need and the NHS, getting it right is absolutely crucial. What’s a GP Negligence Claim? It can be defined in a number of ways. In general, a GP Negligence claim refers to the situations in which the GP has failed in their line of medical care. You’ll understand this concept better as you read along the guide. Nonetheless, when this failure is demonstrated in a court of law (or a legal environment) it can be proved that the GP behaved in a negligent manner. In such a case, a claim against the GP has better chances of being successful. Once you have demonstrated that your GP was negligent and failed in their duty of care, you can claim for compensation, which is specifically designed to address the losses you incurred. These losses may include provable financial expenses such as travel costs, medical bills, and lost wages. The compensation can also include damages that seem a little abstract, including the compensation for the pain and suffering you had to endure as a result of the negligence. With the right solicitor, you can make sure that medical negligence that wasn’t your fault doesn’t become too costly. Before making a GP negligence claim, there are a number of considerations you have to make. For example, there’s a limit of three years from the date of the negligent incident or the date you first beacame aware or thought to become aware of the negligent incident, in which to make a negligence claim. Nonetheless, if the patient was under 18 years of age at the time of the incident, the time limit usually applies from their 18th birthday. Aside from these, you should consider the available evidence in support of your claim, and which law firm is best for your case. We’ll cover this and more in this guide. The NHS (National Health Service) Act of 2006 outlines that General Practitioners owe their patients a duty of care. As such, GP’s are expected to give their patients skilled, reasonable care when treating and administering treatments to them. They are therefore expected to have the necessary educational and legal qualifications that are required to practice in the UK. Reasonable care refers to the fact that the GP should apply reasonable caution during diagnosis, administering treatments, or giving advice. The duty of care parameters are likely to play a key role when claiming for compensation. When we go to see our GP for an appointment, we tend to assume that our ailments are minor, and that the GP will be able to prescribe an easy and effective remedy. But this first appointment can sometimes reveal major problems, which often require the attention of a specialist in the respective field. It might be a condition that’s outside the area of expertise of the GP, meaning that you’ll have to be referred. Failing to refer a patient when they are in need of specialist treatment can lead to severe consequences on their future health, and might result in the condition worsening or further health issues; when all this could have been avoided. If you feel that your GP failed to refer you or delayed your referral and it led to further complications, you might be eligible to claim for compensation. Goldman Knightley understands the devastation that medical negligence can bring to your life. We do understand that you’d like to get your life back on track as soon as you can, and we are here to help take off the burden from your shoulders when making a GP negligence compensation claim. We are always here to listen to you and take on your case and work to deliver the right outcome for you. our specialism is maximising the amount of compensation paid to you. How Common is GP Negligence? Based on the huge volume of patients in need of medical attention in UK hospitals daily, mistakes and accidents can occur. And these accidents can be quite costly. At the same time, an increasing number of patients in the UK are seeking private medical care as well as care for cosmetic issues. Such cases are vulnerable to medical negligence. If you suspect that you have been harmed by a case of GP negligence, you might be eligible for compensation. What are the different GP Negligence Claims? Surgical complication: Although the majority of GPs won’t perform surgical procedures, they can advise and prescribe on these matters in a negligent manner. If you suffer any form of injuries due to a poorly performed surgical procedure, your GP might be at fault. Errors in cosmetic procedures: Errors that result from various cosmetic surgeries have become quite common these days. Errors can result from wrong advice or misdiagnosis, which can be as a result of the doctor or the GP. Anaesthesia mistakes: Quite similar to surgical complications, mistakes from anaesthesia can be at the fault of the GP. Failing to diagnose or identify potential complications that could arise from anaesthesia could critically damage your health. 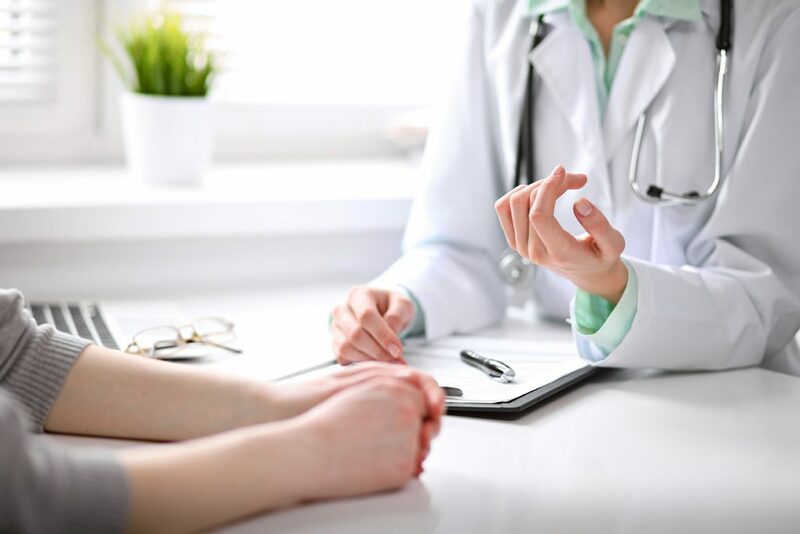 General Misdiagnosis: your doctor or your GP is expected to provide a correct and timely diagnosis of your condition so that your illness is treated before your health worsens. If they fail to do this, you may be able to prove their inaction made your situation worse, and make a GP negligence claim. Care Negligence: If you have a loved one who lives in a nursing home, or you live in an assisted care facility and sustain injuries from improper care, it’s possible to make a compensation claim. Collect your evidence: having records of everything associated with the case helps. Make sure that you have all statements, notes, prescriptions, and letters issued by your GP or doctor in relation to your medical issue. Do not worry if you don’t have these though as we can request them. Seek medical assessment elsewhere: the first reason for this is to make sure that you are not currently being mistreated. When you seek advice from a different doctor other than the one you currently have, this can help you gain a different perspective about your health. Secondly, seeking advice from a different GP or doctor will let you determine the long-term health implications of the negligence of your current GP, along with the collaboration for any potential claim you may file for. Find a suitable GP claim solicitor: considering the complexity of a potential claim, it’s essential to have the right solicitor. For example, when you speak to our team, we can and offer you a free session to consult us on how to go about your case and assure it has the best chance of success. In cases where the GP negligence has led to the death of someone close to you, or in a case where the affected person is incapable of claiming for compensation on their own, it’s possible for a third party to seek compensation on their behalf. If you can prove that their GP was negligent, and you are either a spouse, parent, or civil partner of the victim, you can claim for what is known as a bereavement award. This is normally claimed through the estate of the deceased party, and it currently stands at just below the £13,000 mark. Additionally, it’s possible to claim compensation for funeral costs, along with compensation for the pain and suffering that the victim endured due to the negligence and in some circumstances a spouse or partner can claim for loss of pension entitlement. For parents that are claiming for their deceased children, you can do so provided that the child was under 18 years old. In cases where a spouse or civil partner was financially dependent on the deceased, it’s possible to make a dependency claim and make sure that the family doesn’t suffer financially due to a GP’s negligence. The quickest and perhaps the easiest way of beginning a GP negligence compensation claim is instructing a solicitor. For instance, if you decide to call our offices, we’ll get started by arranging how you can take part in a free, consultation session with no obligations. The purpose of this initial consultation is providing you with an expert opinion on the merits of your case. Once the initial consultation session is complete, if we believe that you have a viable claim, we will provide you with the necessary guidance on how to proceed from there. We’ll also provide you with fact-finding assistance to collect more evidence for the case, have a medical assessment and discuss our No Win No Fee arrangement with you. General damages: these include the pain and suffering that you may have endured as a result of the negligence. They can also include the impact of the consequences to your daily life along with the losses to your compensation. Loss of earnings: if the consequences forced you to take time away from work, the wages that you might have lost will also be accounted for in the compensation settlement. Moreover, in some cases, it’s possible to claim for the loss of future earnings. Care claim: if the health concerns or injuries required you to hire a personal carer or a nurse or obtain care from a friend or loved one you might be compensated for these costs through a successful claim. Medical expenses: these may include the need for physiotherapy, specialised equipment, private treatment, and rehabilitation. Travel expenses: these may include any expenses incurred for travelling back and forth for medical appointment, including train fare and fuel costs. So, if you suffered injuries or other negative consequences as a result of the negligence of your GP, being able to seek compensation for such expenses can go a long way in restoring financial balance in your life. It’s not easy to determine the amount of compensation you’ll receive after a successful GP negligence claim. However, we’ve included a table below to serve as a rough estimate calculator for GP negligence claims, and let you see some pre-determined figures based on the average payout seen in the past. However, don’t forget that each claim is unique, and your payout amount will be different too. The NHS is expected to offer routine prescriptions, screenings, surgeries, treatment of mild or severe conditions, as well as end of life care to the patients. Plus, just like GPs, the NHS owes the patient a duty of care to exercise caution and skill when handling medical cases. Nonetheless, due to the sheer number of patients, the NHS might be unable to offer the same quality of healthcare to all of its patients. Fortunately, we have worked on so many NHS cases involving GP negligence, and we have been successful in helping many of our clients get compensation for surgical negligence, misdiagnosis, incorrect medical advice, and errors in prescription. Currently, there’s a 3-year statute of limitation on NHS negligence cases, which is standard in lots of compensation claims. The NHS has an in house channel for filing complaints, and it provides procedures that could offer you a solution before you result into legal action. These two are mutually exclusive, though it’s possible to instruct a solicitor once you make a complaint. If you want to learn more about how to make an NHS GP compensation claim, be sure to call our offices for a free consultation. One of the most difficult parts of making GP negligence claims is perhaps dealing with all the finances. After going through the health scare, it’s often a tough battle to claim for GP negligence. This is especially the case if you had to purchase expensive equipment or take some time away from work, or even hire some medical personnel to help with your recovery. This is why we provide our clients with a No Win No Fee arrangement. You don’t have to pay anything upfront, and you don’t need to worry about the case costing too much or mounting debts. We’ll simply take our service charge from your final compensation amount, which can only happen if the case is successful. With such an arrangement, you can seek for compensation with the peace of mind of no financial commitment.